Working with wood since my days in the Cub Scouts whittling neck scarf slides and pine wood derby cars, I definitely caught the wood-bug. Perhaps it comes from the smell of freshly cut wood and then of course the thrill of using what your own hands have made. My father was a craftsman too. When I was about four he made me a go cart, completely out of wood. 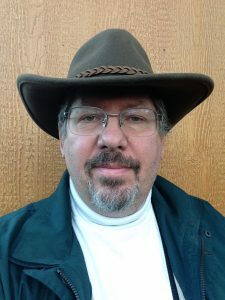 In my late teens I took a job as a home construction helper and began building club basements, porches, and living room interiors. I then worked for Baldwin Piano Company, Warfield Pianos and The Piano Man helping to restore and rebuild pianos. It was there I learned how to create fine hand rubbed finishes and repair damaged piano casing by filling and painting the grain. Later in life when my children were toddlers, I made animal puzzles for them, shelves for my family room, and a complete kitchen and music studio for our residence. Working with owner, Corey Cook of Jackson Hole Toy Store, (a premiere toy store right here in Jackson, Wyoming) I created and test marketed six puzzles that fill the niche for those looking for unique memorabilia at a fair price, especially since visitors are always in search of something made right here in Jackson. 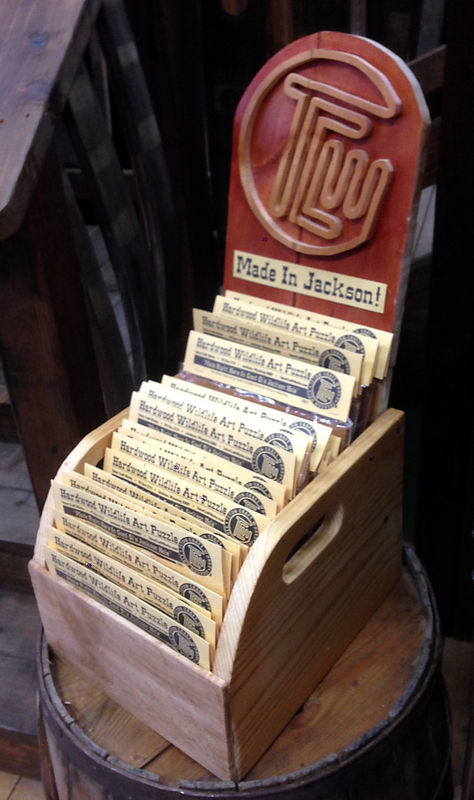 Once the product was perfected through various trial runs, I began selling them at wholesale prices to retailers in the Jackson locale. In the meantime, I began working with a laser manufacturer in the Rocky Mountains to mass produce the same high quality piece that I was making by hand. As of February 15 2017 the laser cut puzzles are available to retailers and especially the buyers National Park outlets. Because so many collectibles are produced in China, Japan and outside the USA, I wanted to bring back the sentimentality that comes with a truly original and home produced product of heirloom quality, but is priced right for the tourists that visit our wonderful country. 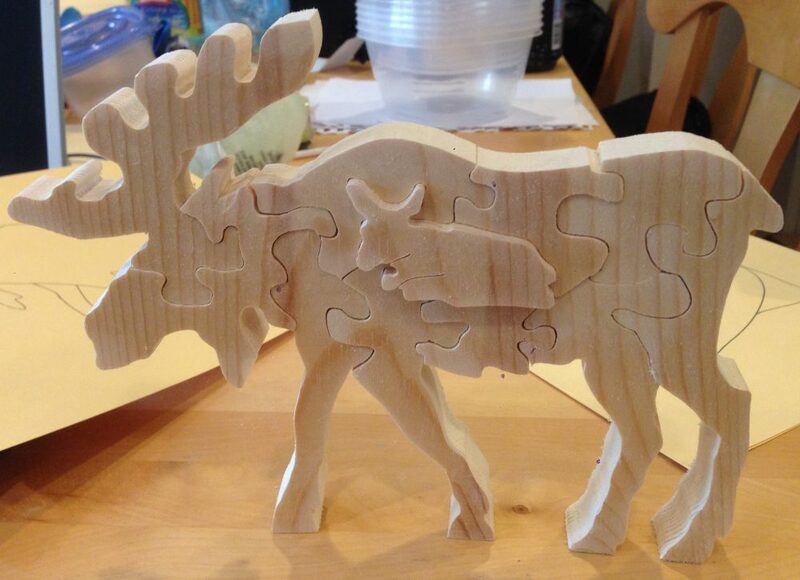 Hence, the birth of Hardwood Wildlife Art Puzzles available only from Teton Craft Works. 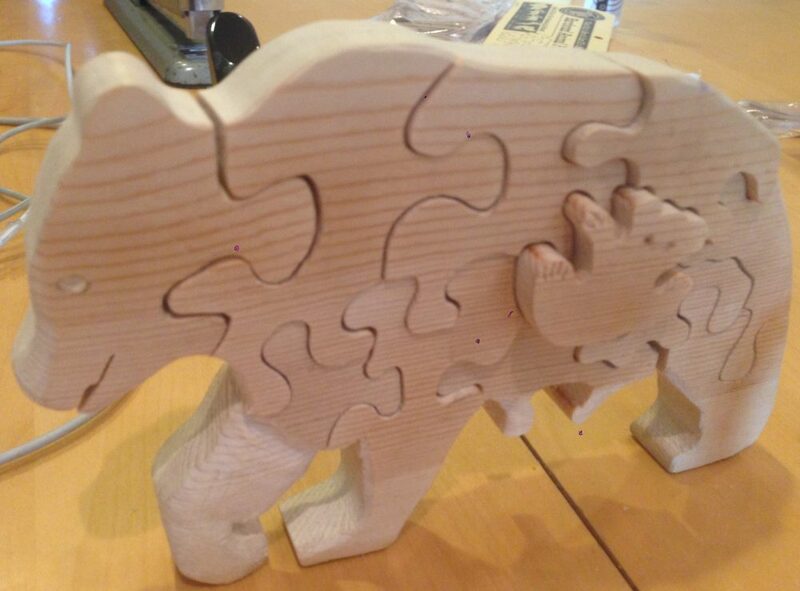 Puzzle Stand… a new innovation for displaying art puzzles by Teton Craft Works. Recently, I began producing a new addition to the puzzle, a stand that allows one to display their puzzle as artwork (which it truly is) when it is not being used. 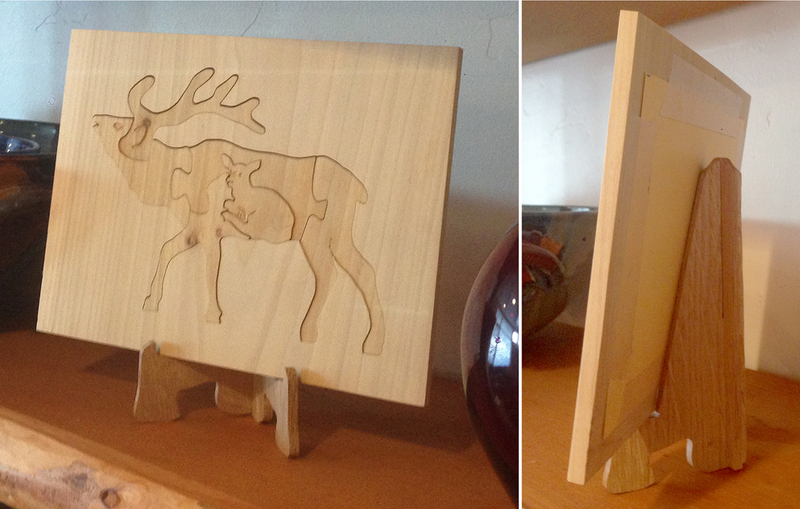 Here is an example of the puzzle stand displaying the elk that sits in my kitchen. Hand Made Display for Jackson Hole Toy Store with the lot of the very first case of Hardood Wildlife Art Puzzles.